There is chocolate, and then there is chocolate. Comparing in no way to those ordinary drugstore bars, a few select manufacturers, excuse me … artisans (a rightfully deserved title), craft the purest, deepest, darkest chocolate into bars. Their edible creations easily warrant the title of ‘premium.’ Amano ranks among this select group of artisans, and I was honored when three of their dark chocolate bars arrived in a beautiful package on my doorstep. Honestly, I have always been a simple chocolate nibbler. I give bars a thumbs up or down, with no real tasting notes or rankings. However, Amano prompted me to really taste the difference. Oddly enough, I didn’t even visit the Amano website or read the labels on the bars until after I sat down and wrote all of the commentary below. I was impressed with how my experience as an amateur cacao taster matched up to their writing. If that isn’t handcrafted to perfection, then I don’t know what is! All three of these dark chocolate bars were 70% cacao (minimum), so I expected them to be comparable experiences. Oh how wrong I was. From the first bite I could truly taste what single origin meant. Each bar had its own nuances, whether it be fruity, smoky, bold, or soft. I suddenly felt as though I was wine tasting. In fact, I was even compelled to write down my notes. The Madagascar taste was solid and very mellow at first, not too bitter, and not too sweet. But then sweet and tangy fruit notes emerged that reminded me of raw cocoa pulp. Suddenly I found the Madagascar deliciously addictive. Barely a hint of bitter dark graced this not too sweet and just slightly tart, fruity dark. Had I been left to my own devices, I could have easily devoured the whole bar in minutes. It went down far too easy, but I did my best to savor each bite! The Cuyagua started out soft and smooth, almost like milk chocolate. The mellow backdrop gradually gave way, but this time it wasn’t the essence of fruit that emerged. A slightly smoky flavor that reminded me a bit of roasted coffee (but without a distinct coffee flavor) crept onto my taste buds. 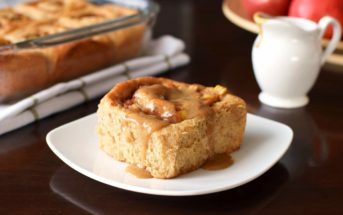 I enjoyed the light sweetness, which was tempered just a bit by the roasted coffee notes. 2016 Update: The Ocumare was in this trio, but it has been discontinued, so I’ve removed it from these notes. I think the Madagascar capture my taste buds most overall. The Cuyagua was excellent, but it lacked the intrigue that the fruity one brought to the table. But don’t take my word for it. 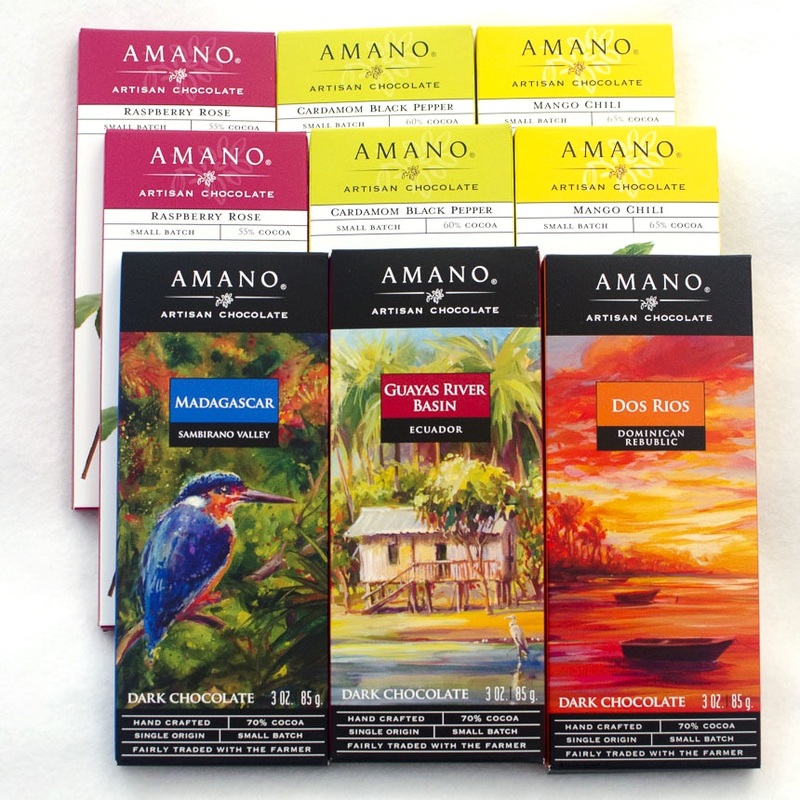 Have your own cacao tasting with Amano Artisan Dark Chocolate Bars! 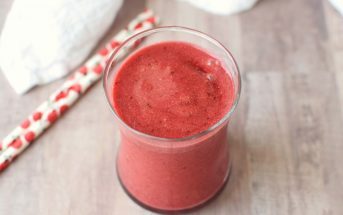 They offer several other single-origin and flavored varieties, and they appear to be dairy free. I couldn’t confirm the ingredients from their website, but the bars I sampled were made solely with Cocoa beans, Pure cane sugar, Cocoa butter, and Whole Tahitian vanilla beans. 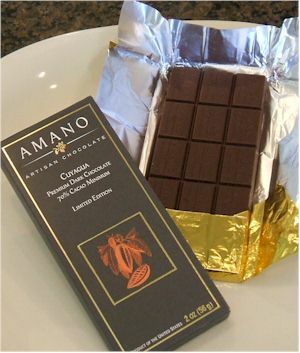 Certifications: Amano Artisan Dark Chocolate Bars are labeled as Fairly Traded, but we didn’t note any certifications. Dietary Notes: By ingredients, Amano Artisan Dark Chocolate Bars we sampled are dairy-free / non-dairy, egg-free, gluten-free, grain-free, nut-free, peanut-free, soy-free, vegan / plant-based, vegetarian. Nonetheless, always read the ingredient statement and check with the company on their manufacturing processes for all varieties if potential allergen cross-contamination is an issue for you. Processes and labeling are subject to change at any time for any company / product. 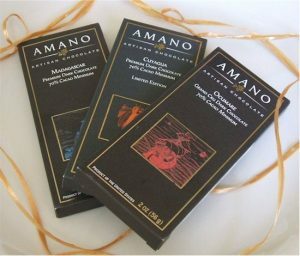 For More Product Information: Visit the Amano Artisan Chocolate website at www.amanochocolate.com. Is Amano FDA approved and does not contain any grass or plant products in it? Where can I find it (Walmart, etc. )?